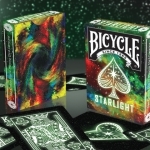 A few months ago, Collectable Playing Cards launched Bicycle Starlight, a deck inspired by the universe and stars, with an interesting combination of fluorescences and a color explosion on the back. 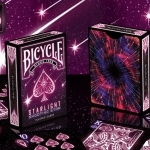 Now, they launch the second edition of this deck: Starlight Black Hole. 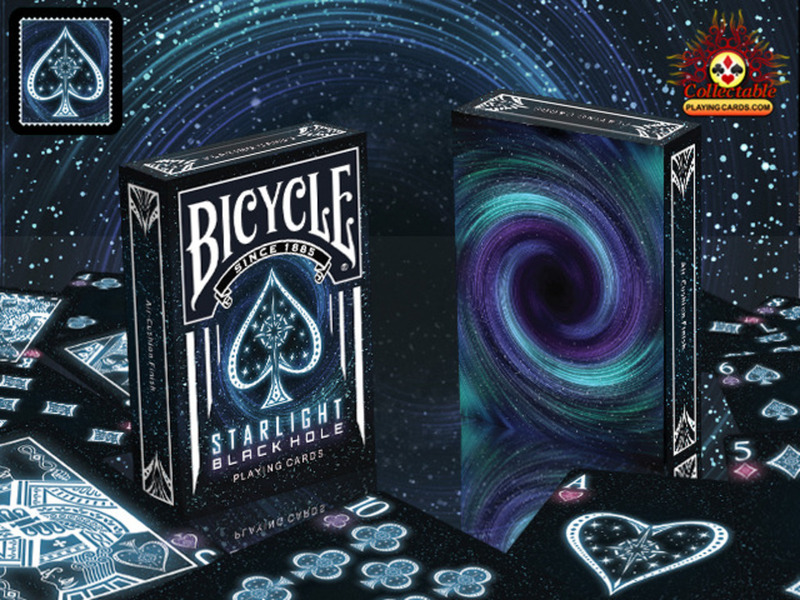 Contrasting with the above, Black Hole Starlight scheme is similar but uses a completely different color combination. Darkness and light are the main ideas of this design in which the faces are made in shiny white and the back shows a composition inspired by a black hole with dark but bright colors. 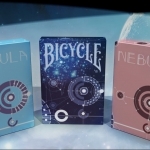 The deck will be Bicycle branded and printed by USPCC and if you missed the original version, you can get it at the same time during this campaign.